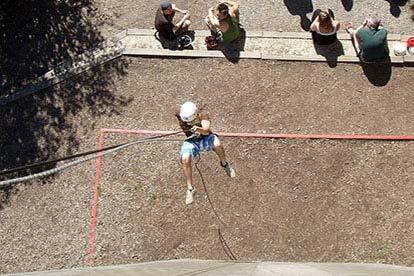 For those with a thirst for adrenalin and a love of the extreme, abseiling can give you the buzz you're looking for. The exhilaration of hanging on a rope no thicker than your finger is immense, feel the delight as you lean back over the edge and make your descent. 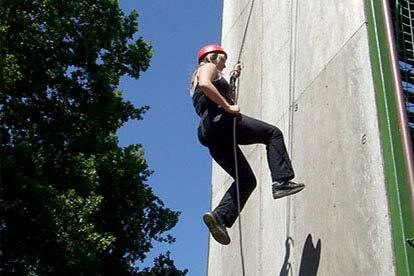 This abseiling course is perfect for those who are complete beginners who want to try something new and exciting or for those wishing to polish up on their abseiling technique. At the beginning your instructor will carefully explain the whole process and ensure your complete safety and wellbeing. 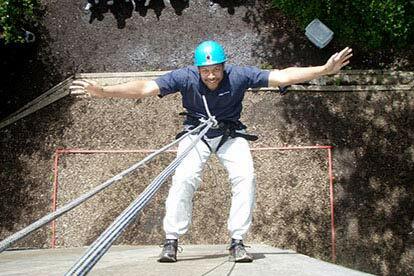 During this experience you'll learn the basics of abseiling, happy in the knowledge that you are attached to a safety rope. 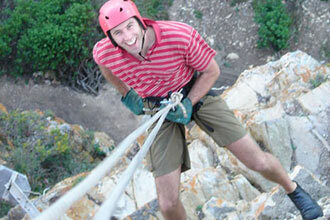 Depending on the location you choose, your abseiling experience may take place on rock or an abseiling tower. The activity lasts for approximately 2 hours. The maximum group size is 20. You are welcome to bring family and friends to watch you take part in this activity. 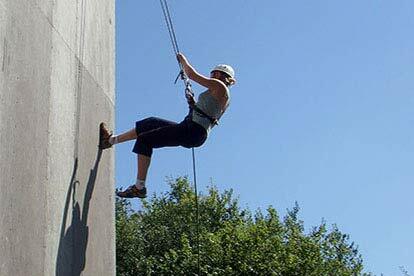 This activity can be tiring but does not require a high level of fitness. Concern over medical/ health issues should be checked before purchase. No experience or qualifications are required to take part in this activity. 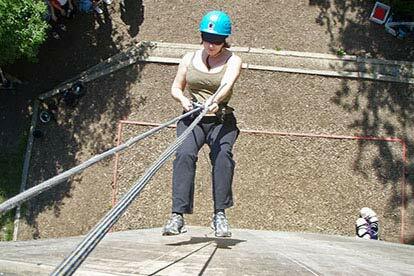 My daughter brought me the activity voucher for Christmas I choose to do the Abseiling it was absolutely fantastic the 2 instructors were very good explaining everything in detail. Can’t wait to go again. I. Had this bought for my 50th birthday. Had an amazing time staff were friendly and helpful. Made lots of friends with other people on activity. Definitely value for money and a great experience. Would highly recommend it. I was bought this for a birthday present by a friend. There was good instruction, support from the whole group & tutor. An enjoyable way to spend the afternoon. Had an amazing time, but due to the large size of the group, I was only able to abseil down the tower twice, each time taking no longer than about 30 seconds. 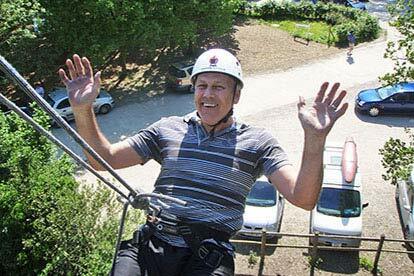 So a 2 hour experience was actually only 1 minute of abseiling. I booked this first abseil at an outdoor location because I thought it would be more thrilling than on an indoor man-made wall. 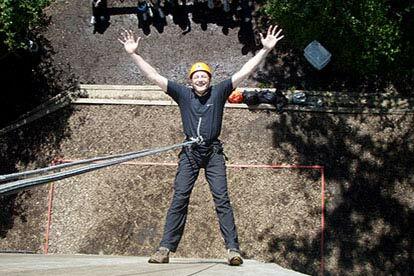 However, I was a bit disappointed that the abseil was not very high although I appreciate that it was probably adequate for some of the youngsters who I shared the experience with. 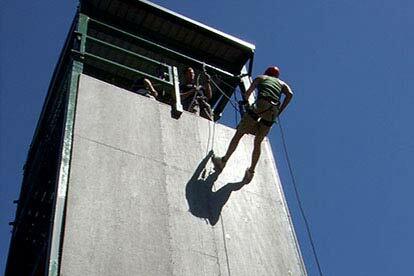 I did wonder how the experience would last over 2 hours until I saw the time it took for other participants to overcome their fears and go over the edge. 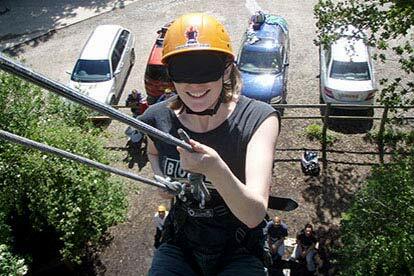 It would have been better if groups were assigned to these events based on age, as older people are generally more likely to trust all the safety equipment than youngsters who haven't had so many of life's experiences. 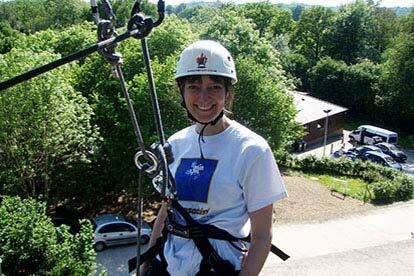 I would have liked to have spent the time going up and down some more variety of surfaces/inclines/heights rather than just the couple of abseil's on a single descent.